Brussels – Today, national government representatives failed to support the approval of three genetically modified (GM) maize crops for cultivation in Europe: two new ones and the only GM crop currently grown in the EU. While no qualified majority was reached [1, 2], the number of rejections shows that GMO opposition clearly outweighs support. It was the second vote by national governments on the European Commission’s proposals to approve the three GM crops. The first vote, held in January 2017, had also failed to deliver a qualified majority. Therefore, it is now up to the Commission to take the final decision. In 2014, Juncker said he “would not want the Commission to be able to take a decision when a majority of Member States has not encouraged it to do so” . In 2016, his Commission proposed authorising the cultivation of DuPont Pioneer’s 1507 maize and Syngenta’s Bt11 maize, and to renew the licence for Monsanto’s maize MON810, the only GM crop currently grown in the EU. If approved, the three authorisations would only be valid in 9 out of 28 EU countries, as well as in three regions (England in the UK, Flanders and the Brussels region in Belgium). The other EU countries and the remaining regions in the UK and Belgium have used the EU’s new opt-out mechanism to prevent GM crops from being grown in their territories. The European Parliament has repeatedly clashed with the European Commission over its policy on genetically modified organisms (GMOs). In December 2015, it called for a moratorium on all GMO import authorisations until new decision-making rules are in place. It has opposed the authorisation of several GMOs for import to the EU and rejected the proposed authorisations of GM maize 1507, GM maize Bt11 and GM maize MON810 for cultivation in the EU. GM crops have no place in sustainable farming. They come with unacceptable risks created by the genetic engineering process and the traits they are engineered to express. At the same time, they have failed to deliver on the promises made by their producers. To protect the environment and our health, the European Union should ban GMOs and promote ecological farming methods instead of following the example of the US and the handful of other countries where GM crops are grown. A qualified majority is achieved when at least 16 countries, representing at least 65% of the European population, vote in favour or against. 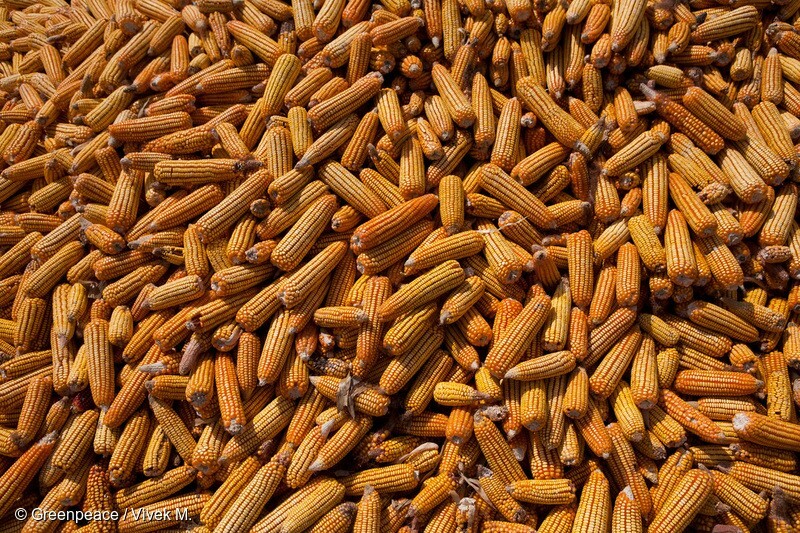 On GM maize MON810, 14 EU countries voted against (AT, BG, CY, DK, EL, FR, IE, IT, HU, LT, LU, LV, PL, SI) representing 43.29 per cent of the EU population, eight EU countries voted in favour (CZ, EE, ES, FI, NL, RO, SE, UK) representing 34.45 per cent, and six abstained (BE, DE, HR, MT, PT, SK) representing 22.26 per cent. On GM maize 1507 and Bt 11, 16 EU countries voted against (AT, BG, CY, DK, EL, FR, HU, IE, IT, LT, LU, LV, PL, PT, SI, SE) representing 47.27 per cent of the EU population, six voted in favour (EE, ES, FI, NL, RO, UK) representing 30.45 per cent, and six abstained (BE, CZ, DE, HR, MT, SK) representing 22.28 per cent.